Product prices and availability are accurate as of 2019-04-18 04:41:34 UTC and are subject to change. Any price and availability information displayed on http://www.amazon.com/ at the time of purchase will apply to the purchase of this product. 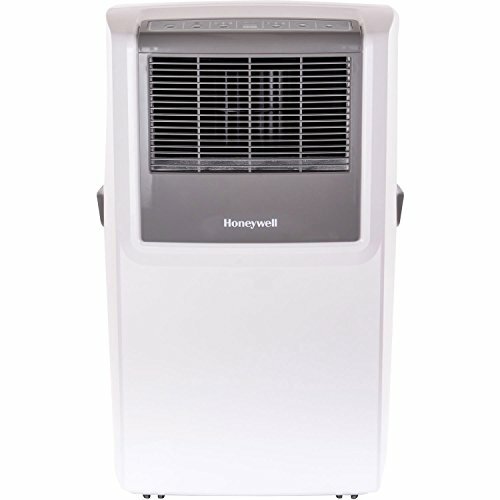 The Honeywell MP Series 10,000 BTU portable air conditioner with front grille design cools, ventilates, and dehumidifies up to 450 square feet. 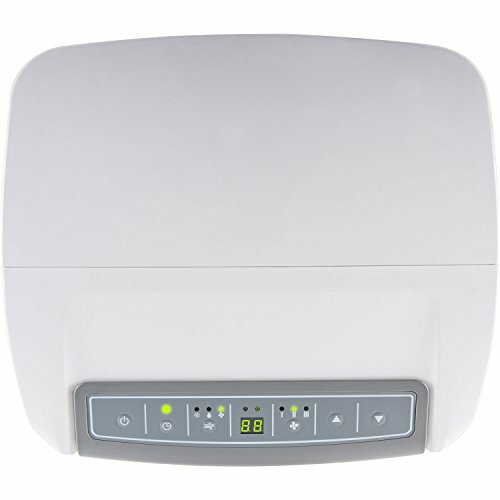 Featuring 3-in-1 technology, it is an air conditioner, fan and dehumidifier all rolled into one compact unit. The front grille design provides powerful air flow. The full-function remote control allows you to operate each feature from across the room. Unlike a fixed AC, this unit requires no permanent installation and four caster wheels provide easy mobility between areas. Plus, the auto-evaporation system allows for hours of continuous operation with no water to drain or no bucket to empty. This model comes with everything needed including a flexible exhaust hose and an easy-to-install window venting kit. The window vent can be removed when the unit is not in use.